Every 5 years NRM meets to get rid of a ‘bad cadre’! Why? It was Besigye in 2000, Bidandi in 2005, Bukenya in 2010, and now Mbabazi! On November 15, 1971, David Bowie recorded a song entitled, “Five Years”, which music experts believe is one of the greatest album-opening songs ever. The song tells of an earth doomed to destruction in five years. Bowie is rumoured to have chosen the length of time as a result of a dream in which his deceased father told him he must never fly again or else he would die in five years. In November 1999, Dr. Kizza Besigye, while still a serving army officer, authored a paper entitled, “An Insider’s View of How NRM Lost the Broad-base”. In the paper, Besigye was critical of the direction the NRM was taking. He accused the top leadership of being undemocratic, corrupt and sectarian. He said the then Movement System had been manipulated to enable President Museveni cling on-to power. His colleagues dismissed him. The NRA/UPDF High Command and top NRM leadership were summoned to find a way of not only punishing Besigye for “speaking in the wrong fora”, but also to get rid of him. Some of the senior members of the High Command wanted him sent to the court martial. However, because what Besigye had written about was, by and large, a representation of what many other leaders were whispering in corridors and their informal groups, a few other brave bush-war heroes protested the court martial proposal. Instead, they proposed that Besigye be retired from the army. The dismissal certificate was gladly signed by the Commander-in-Chief to get rid of the bad apple. He later told the media that this announcement was done partly to preempt his imminent arrest. Who was hunting him down? Amama Mbabazi! Then Security Minister, Mbabazi accused Besigye of trying to “jump the queue”. This statement gave the impression that Mbabazi was probably ahead of Besigye in the queue. He just learnt yesterday that the so-called queue was actually nonexistent, or if present, it was a queue occupied by one person. Ironically, it was Jim Muhwezi (and the usually controversial Kahinda Otafiire) who supported Besigye and saved him the court martial, claiming that his ambitions were good for democracy. Today, the same Jim is heading the Security team of the Organising Committee of the Delegates Conference convened to thwart Mbabazi’s Presidential ambitions. Perhaps this time, Mbabazi’s ambitions are bad for democracy! In media interviews in 2007, Besigye revealed that before penning the paper that caused an earthquake in the NRM, he had held secret talks with some senior NRM officials, including former Local Government Minister and Vice Chairman of Museveni’s campaign teams in 1996 and 2001 elections, Jaberi Bidandi Ssali and the late Eriya Kategaya, then regarded as the “de facto No.2”. Besigye said he urged them to come out and lead the protest against the chairman who was turning their struggle into a personal project. The senior leaders declined, arguing that Besigye was suffering from impatience because the President was serving his last term. Three years later, they learnt that actually Besigye had all along been right. I think you recall Mr. President, when in May 2003, while meeting the Movement Parliamentary Caucus at Kampala International Conference Centre, you told Bidandi, “Who are you? You are just a mere spoke in the wheel. You can go.” Bidandi’s crime was asking why you were reneging on your promise to get out of power at the end of your then last Constitutional term. Bidandi was a mere spoke? 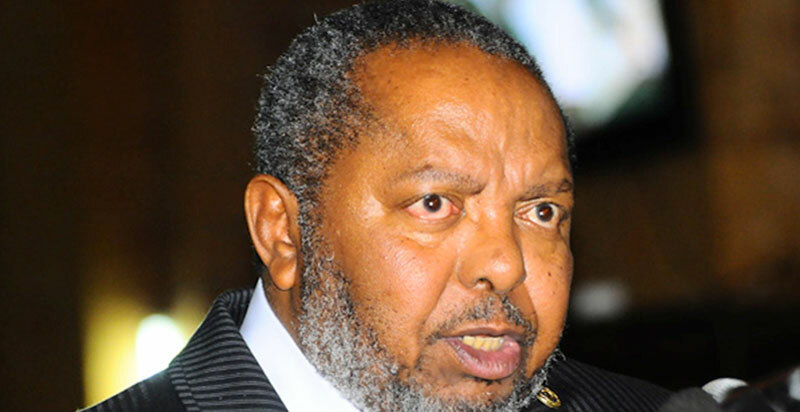 In 2003, a number of other senior NRM members, who were opposed to the amendment of the 1995 Constitution to open up the Presidency, were purged out including, Amanya Mushega, Miria Matembe, John Kazoora, Augustine Ruzindana, and Sarah Kiyingi. As this group was exiting, a number of new kids on the block arrived. Top amongst them was Prof. Gilbert Bukenya. He led the team that mobilized Parliament to amend the Constitution. He was rewarded with the second top-most office in the land. When Bukenya was appointed Vice President in 2003, he thought he had arrived. He penned the book, “Through Intricate Corridors to Power” in which he ridiculed his colleagues in the NRM. He said many of them, except the President, were fighting him because they were myopic. In the book, Bukenya seemed to believe that he was now bigger than anyone else in NRM. He baptized himself Mahogany. He only woke up to reality when he was in Luzira prison. As Bukenya boarded the bus to Luzira, his longtime political nemesis, Amama Mbabazi, took to the stage as the most powerful and favoured No.2. He had not only been appointed Prime Minister, but also given the mandate to appoint his own cabinet to work with to deliver services to the people. I have a feeling this particular appointment made Mbabazi think it was intended to enhance his profile and cultivate public confidence in him as the successor of the President. Big mistake on day one! Dear delegate, what about you? Although some media reports alleged that the President had promised, first Bukenya, and later Mbabazi that he would pass the baton onto them at a certain stage, one may absolve Bukenya for having taken it seriously. He was not close enough to the President to know him. But not Mbabazi. He ought to have known better who the real Museveni was. For God’s sake they had lived together, strategised together for over four decades. Talking about the real Museveni, brings me to the gist of my article. This week I picked my pen to warn the NRM delegates and other leaders, who are convening in various hideouts in Kampala and Entebbe this weekend, to sort out Mbabazi. Perhaps none of you has ever, and will ever, be close to President Museveni as Mbabazi was. The President himself has, on several occasions, said, publicly, that he does not have any other friend except Mbabazi. Now ask yourself, if he can sack Mbabazi. If he can address a rally arranged to celebrate Mbabazi’s downfall. If he can call for a delegates’ conference to sort out his only friend for harbouring presidential ambition. If he can spend billions to facilitate you to finish off Mbabazi. If policemen can jump on podiums to stop Mbabazi from speaking. Then what about you? What do you think will happen to poor you in the near future? It’s William Shakespeare who said, “No legacy is so rich as honesty.” I will leave this one for you to judge if by voting to fix Mbabazi, or any other person, you are following your honest conscious. The Bowie I started my article with concludes his song thus, “We’ve got five years, that’s all we’ve got.” This is exactly why I picked the pen this week. To let you, the over enthusiastic member of the NRM Delegates Conference Organising Committee, know that as you go about your new role, don’t get over excited. Five years is all you’ve got, before getting into Mbabazi’s current position. You may choose to downplay this warning; even Mbabazi did exactly that five years ago! I know in Africa we discount the future quite heavily. But one fact is, the future will always arrive. It is inescapable! Wishing you good deliberations. Why the shilling is depreciating at a scary rate?